Budget 101 is the simplest and easiest way to keep track of your finances. Simply enter in your transactions either a deposit or expense designate a category for it (by either selecting an existing category or creating a new one) and Budget 101 will take care of the rest. 1. Make sure both devices are updated with the latest update of Budget 101 and connect the device you are transferring your data from. 2. In File Sharing select all files and click on "Save To" - save these files to a folder on your computer. 3. Connect the device you would like to transfer your data to and in File Sharing select "Add". 4. Select the files you saved earlier and add them to your new device. - Fully customizable category list - add, delete and even rearrange the list so that your most frequently entered categories are listed first. - Edit or Delete any transaction. 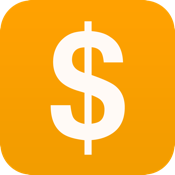 - Keep track of your finances by generating reports from any date to any date. - Single category report - will allow you to see how much money you spent on a specific category over a certain amount of time. - Multiple category report - will allow you to select multiple categories to include in the report. - All categories report - in which you will see a summary report across all categories. - Quick Links - View your year to date or current months activity with just one click. - Quickly view your total expenses and deposits together with your net balance all displayed at the bottom of each report.